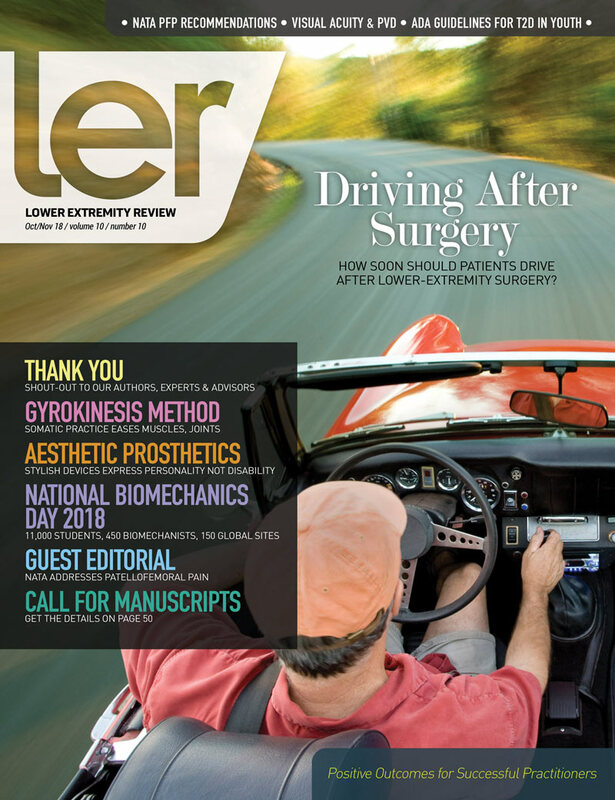 Vexing Question: How Soon Should Patients Drive After Lower-Extremity Surgery? The answer doesn’t come easily; official guidelines are lacking. Ultimately, patients bear responsibility for the decision, but you can still offer them valuable advice for keeping safe. “Doctor, when can I start driving again?” That’s a common question patients ask when they’re headed for lower-extremity surgery. But it’s not always an easy one to answer. Offloading is key to preventing small concerns from becoming life-threatening, but adherence remains less than optimal. The not-so-secret truth: diabetes and its precursor, prediabetes, have reached epidemic status in the United States: More than 100 million Americans are living with the disease. Limb Salvage or Amputation of the Diabetic Foot? The decision often hinges on how a given inter­vention will affect the patient’s quality of life. How, then, to define optimal QoL for your patient, and to agree on the means to achieve it? As clinicians well know, diabetes puts patients at risk of foot ulcers that can lead to poor outcomes, evidenced by the 40% 5-year mortality in patients with newly diagnosed diabetic foot ulcers (DFUs). The authors seek answers to clinical questions regarding the optimal program of eccentric exercises: Does type of tendinopathy predict success? What modifications to exercise duration and repetitions make sense? What is the likelihood of long-term pain relief afforded by such a program of exercise? Leg-length discrepancy and its sequelae are best considered a syndrome affecting many regions of the body through the closed kinetic chain. Most cases require comprehensive, cross-disciplinary treatment. The authors present a novel scoring system for diagnosis. Patellofemoral pain: More activity means more pain — and then less activity? As a growing number of studies report associa­tions between concussion and musculoskeletal injury risk, new research suggests concussed athletes may also have an increased risk of osteoarthritis later in life. 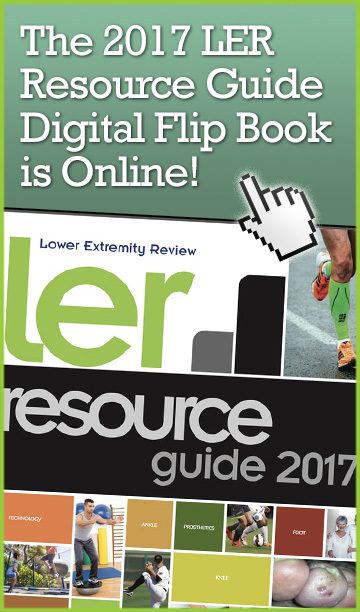 Lower extremity clinicians say ankle foot orthoses, rocker-soled shoes, and other orthotic interventions can benefit patients with peripheral arterial disease and intermittent claudication by making it easier for them to exercise, and research is starting to demonstrate these benefits. 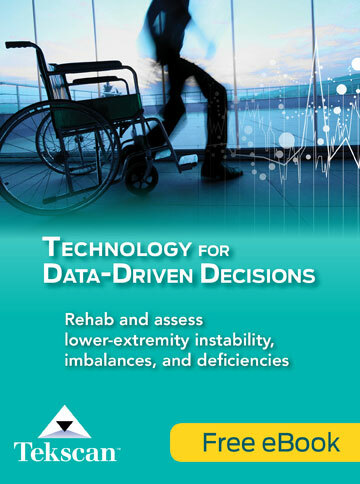 Wearable sensors allow for the collection of running biomechanics data outside the laboratory in natural training environments, enabling clinicians to collect a large volume of information in a relatively short time to help identify and manage individuals who may be at risk for running-related injuries. It’s not unusual for any practitioner to experience complicated emotions when a death or a terminal diagnosis disrupts the personal bond forged with a patient over many years, but experts say lower extremity clinicians often are not well equipped to deal with these emotions. In spite of advancements in research and subsequent modifications to running footwear design, rates of running-related injuries have not decreased. That may be because researchers and designers have been focusing on the wrong variables. Soft braces are not designed to change lower extremity alignment or joint forces, but research suggests they may influence knee and ankle biomechanics in other ways, including by enhancing proprioception. This line of investigation could open the door to new therapeutic opportunities. Achilles tendon lengthening and gastrocnemius recession both increase ankle joint dorsiflexion and reduce plantar forefoot pressures in patients with diabetes and equinus deformity, but experts continue to debate which is best for managing forefoot ulcers and minimizing reulceration. 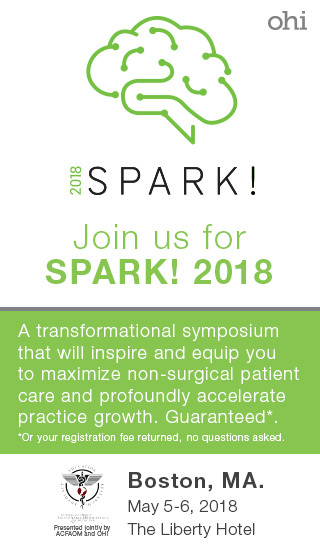 Research suggests that a simple step-down task has a strong relationship with frontal plane ankle kinematics during walking and jump landing, and may be one method of screening or assessing for increased inversion—and, in turn, increased risk of future ankle sprain—in clinical settings.